Don’t waste any more time dragging hoses to keep your turf and flowers watered. Let us design an irrigation system that will provide efficient and economical automatic watering. 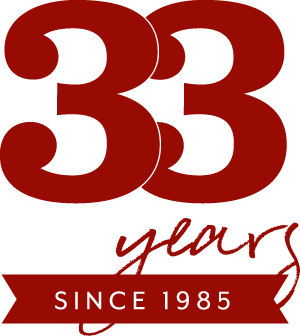 Our professional and courteous install teams take care in existing yards to disturb as little of the ground as possible so you can enjoy the work from the start. Smart watering systems provide maximum efficiency watering so you don’t pay for what you don’t need. 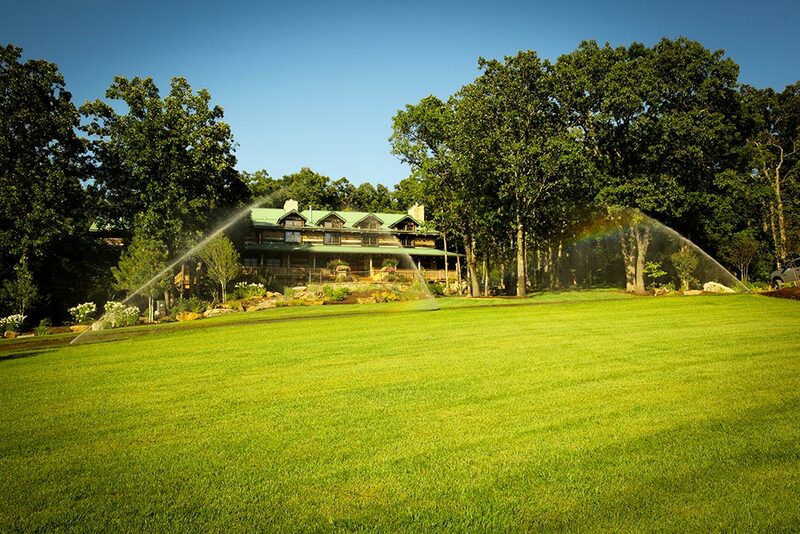 Call and see how easy it is for Superior to take care of your irrigation needs. Cut out the headache, and see why Superior is the superior choice. We make it easy by offering full commercial design and builds. Great contractor relationships provides piece of mind in installation. We use only high quality materials to ensure our systems remain working as they should for years to come. All of this aided by professional installation teams that our clients deserve. Rost Landscaping has worked with Midway Arms for over 20 years. They designed our first employee break area in 1989 and since have provided everything from landscaping design, planting and maintenance. 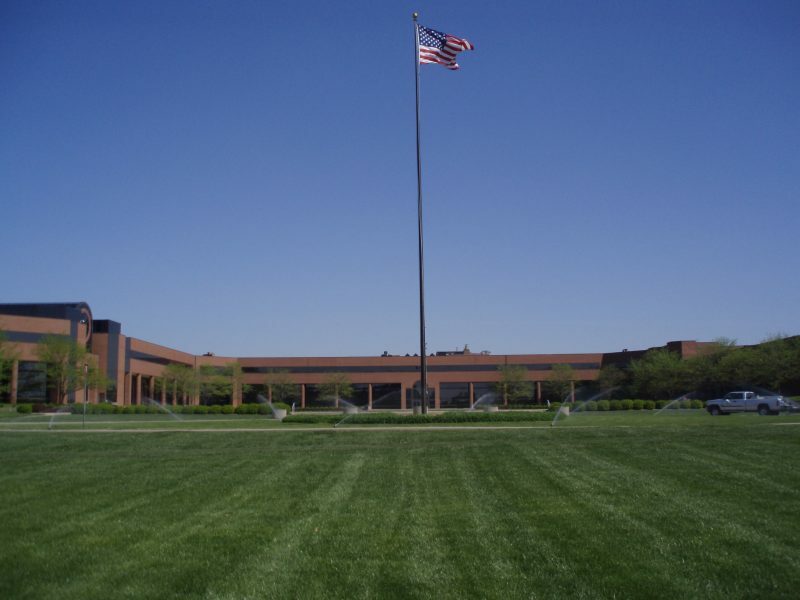 When ‘Midway USA campus’ expanded from one building to two, the continuity of the landscaping design was essential, so we asked Rost to draw the design to coordinate with the work they had done on the first building. That design was then put out for bid. Rost’s bid was chosen and that work was completed. As we have needed repairs, replacements, or minor revisions to the existing plantings, Rost was always chosen to do that work. The third building of the campus is nearing completion and the landscaping design was delivered by Rost this week. Their designers understand our preferred trees and plants and try to incorporate those where possible. They are easy to work with and very professional. I personally hired them to do a major rework of landscaping at my home. The design was fresh and made the home look new. Their people are such a pleasure to work with, that I then hired them to do routing maintenance – providing weeding, watering, and colorful seasonal plantings. I have full faith in their ability to do a good job at a competitive price in a timely manner. We were very happy with how the project worked out. Andrew was terrific-he listened to us, communicated well, and worked hard to craft the plan we wanted. All the workers were top notch: careful, hardworking, and considerate. Overall a very satisfying experience and thanks for you personal attention. The Rost Maintenance crews keep my home looking well kept and manicured all year long. From planting my flower beds in the spring, designing containers for the deck to cleaning up our landscaping for the winter, they do it all with flair and professionalism that can’t be matched. Seeing a vision come to Life is always an exciting experience. Knowing that the execution of that vision is in the hands of Tim Moloney, an experienced,competent and creative professional, is priceless. At Howe Custom Homes we are commited to excellence. That, quite simply, is why we choose Rost.